Highway 14 N, past town of Mojave, North 25 mi. Left turn on road to campground. The land that surrounds this Park has plenty of primitive camping options. 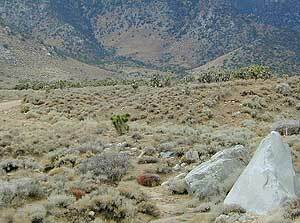 The only "open camping" is on the BLM land outside the State Park Boundaries. Follow any one of the numeruous public access dirt roads to find you perfect hidden canyon. Be careful in washes for flash floods in late summer & winter months. Four wheel drive may be required on some roads. Know your vehicles limitations. Last Chance Canyon no longer has backcountry camping! This is a great place to get away from it all & away from the highway. 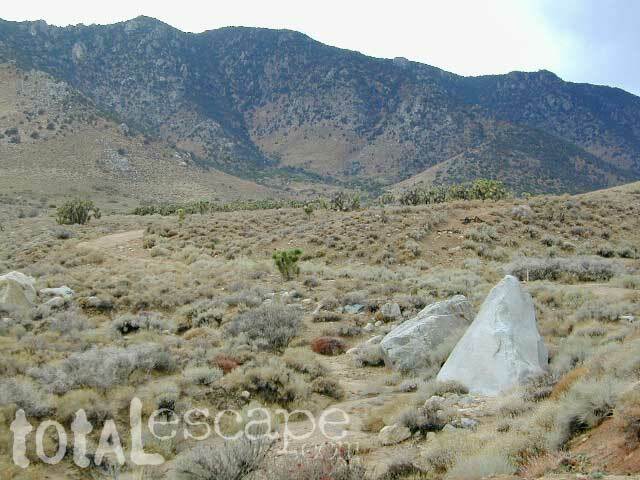 Easiest access from the north off (E15) Last Chance Cyn Rd. A much most challenging 4WD route from the south entrance. Jawbone Canyon is popular with dirt bikes, quads, RV campers and motorcycles. If you want peace & quiet this is usually not the place. This is kinda the 'gear head' camping area of the Mojave desert. Horse Canyon, located just north of the park inside BLM lands, has dirt back roads, granite boulders, joshua trees & even limbs up to a pinyon pine ridge. 4WD may be needed to reach the roads end at McIvers Cabin. No climbing here! 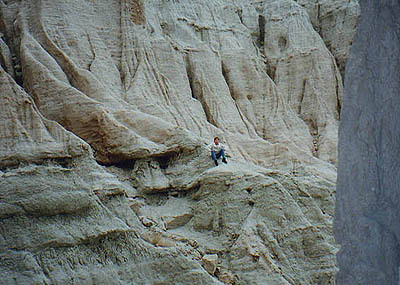 Wind caves & colorful rock formations, with soft sandy walls crumble! Wall climbers should try nearby Fossil Falls or best bouldering located at the Buttermilks, west of Bishop. More back roads exploration than you could hope for. This is a great place for back road exploration with your SUV. Many canyons & loop trails leads around Red Rock State Park. Neighboring OHV parks include Dove Springs and Jawbone Canyon recreation area. Some sandy roads and steep spots will require 4WD (so consider yourself well warned). Don't forget to make the sandy trek out to the "tunnel". Crazy local Burro Schmidt spent the majority of his life obsessed digging through a rock mountain, just to get to the other side. Tons of motorcycles boys love to ride this area too, so watchout around corners on the dirt roads. Highway access is signed from Hwy. 14. Look for the large billboards & this sign will be low the the ground & on the east side of the pavement.